I hate food waste. 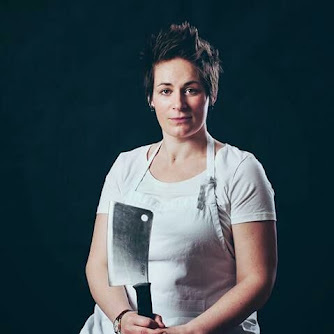 I do everything I can to plan meals, use leftovers and make the most of everything I buy and grow. It's crazy to think that we waste so much food. GLAD wants to persuade you to use some kitchen smarts and some nifty GLAD products to make sure your food stays fresher for longer. 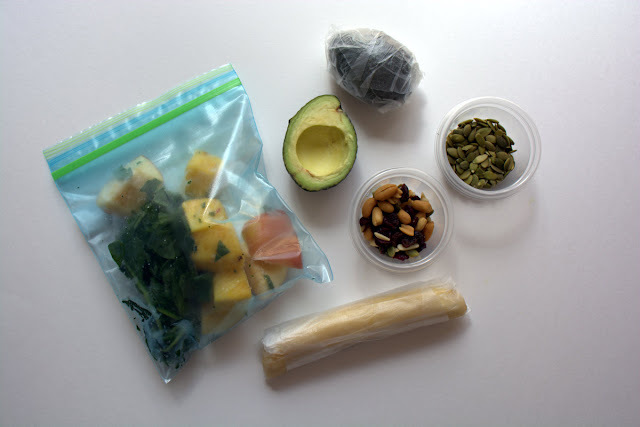 "Glad keeps food fresher for up to 3X longer"
Frozen bananas for baking and smoothies, dried fruits and nuts to eat on the go, smoothie packs to blend when mornings are rushed and avocado's that keep till tomorrow. It's all easy with GLAD. I use GLAD products all the flipping time! I don’t leave the house without a zipper bag or container of something to eat in my purse. I keep GLAD mini rounds full of dried fruits and nuts in my car because nobody wants to see me hungry, trust me, you wouldn’t like me when I am hungry!! Wash your herbs and store them in a large zipper bag with a piece of paper towel and just a bit of air. They will keep fresh, green and tasting amazing. I use the mini round containers to store cut citrus in the fridge. If you ever have a sad and dried up looking lemon use it to clean out the inside of your mixing bowl before you make meringues. Any grease on the bowl can affect how the egg whites whisk up so just run the cut side of the lemon around the bowl before adding the eggs. Black bananas are fabulous for baking banana bread but there is only so much banana bread one household can eat- trust me, I tried! I use the Press & Seal to store peeled bananas in the freezer. I find the Press & Seal holds firm in the freezer and peels off easy when you need the banana. My son loves Banana Thickies; simply blend 1 frozen banana with 1 cup of milk and 1 tablespoon of oats. Blend till smooth and enjoy. Guacamole is the after school snack of the moment in our house and I cut the avocado in half and make guacamole for the starving children (how are they so hungry when they get home from school!! ), and store the other half in the fridge. I use Press & Seal and there is only a thin sliver that needs trimming off the day after. TOP TIP: Store the half with the seed still in and it keep way better! Make large batches of brownies and cookies and use the zipper bags to store individual portions. I freezer them and each morning I grab one for each of the kids lunchboxes. They keep everything cool as they thaw and they are perfect to eat by lunchtime. GLAD is also a lifesaver for busy people like me! 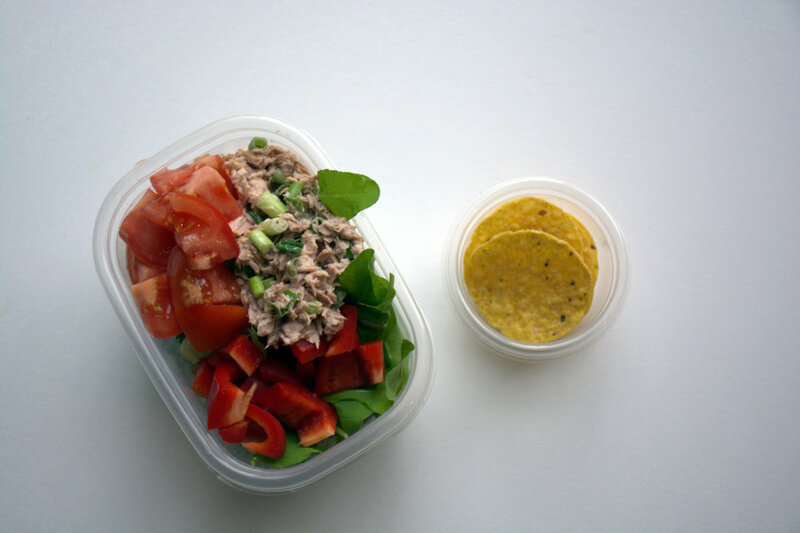 If I know I will be working and there will be no chance for me to grab some food I pack up little salads and snacks. Use combinations of containers to keep anything crispy away from anything that will make it go soggy. If I pack a salad I pack the dressing separate and toss it through at the last minute- nobody wants soggy leaves! 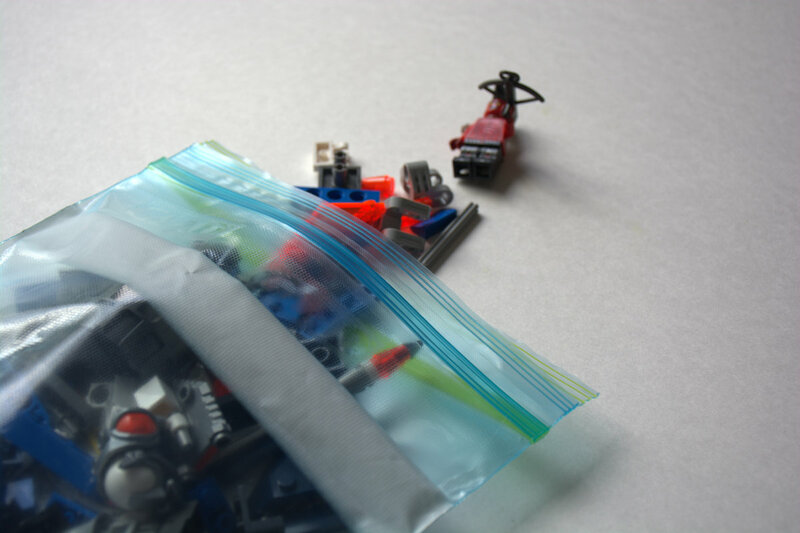 I also never leave the house with my boys without a handy zipper bag of Lego. Life is always easier when they have something to keep them entertained! Happy kids equals happy Mum! I was sent some GLAD products to test for this post but photos, opinions and terrible jokes are my own.